Spend a day at the beach. This is the obvious one. There are so many choices, from the white beaches of Destin, to the rowdy spring break party beaches of Daytona. And many in between. Like people watching? Try South Beach in Miami. Camping on a beach? Bahia Honda State Park in the Florida Keys is for you. 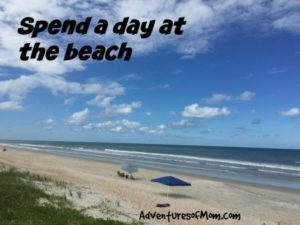 Check out Anastasia State Park and Canaveral National Seashore. Catch a fish. 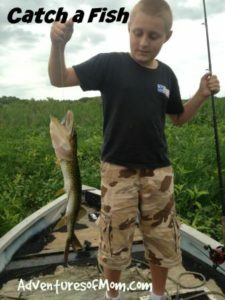 You don’t have to be a professional angler to hook a fish in Florida. 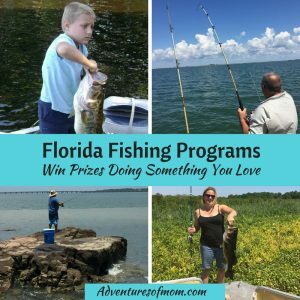 You can fish from the shore, from a fishing pier (and Florida has many), from a fresh water dock or on a boat. 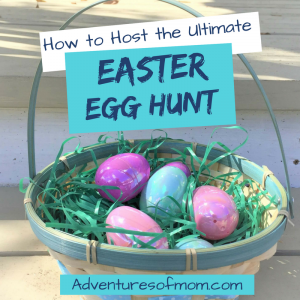 There are fishing charters for deep sea fishing- they will include your fishing license fee, otherwise pick one up from the nearest Walmart, grab some bait and off you go. We fish small fish in fresh water with hotdogs, bigger ones with shiners. Salt water smaller fish prefer squid or shrimp, bigger ones like the smaller ones! Read about our angling adventures here. 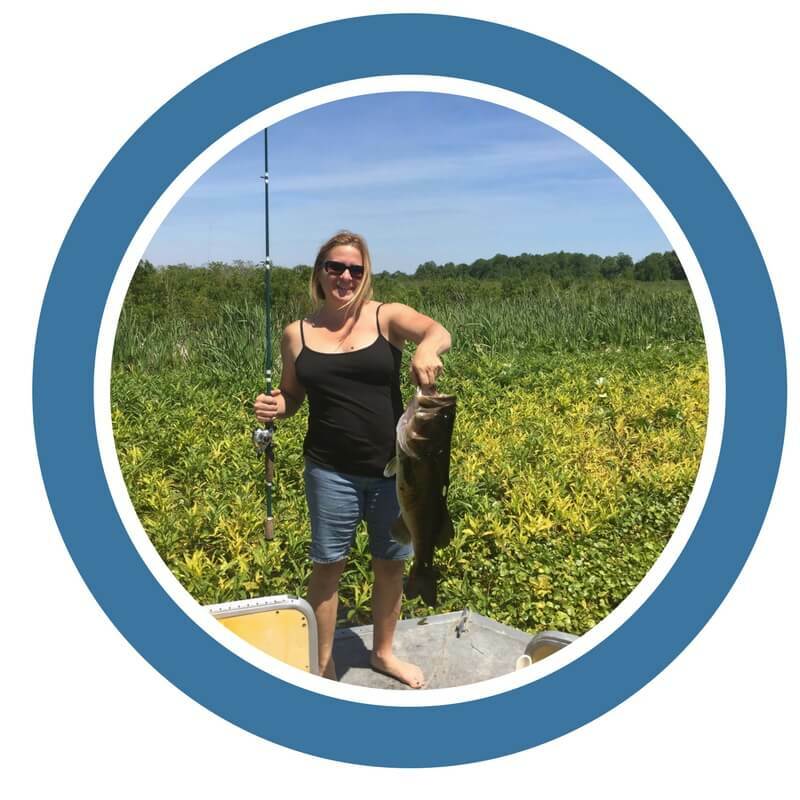 Catch a fish, whether for sport or for dinner! Eat fresh seafood. We are surrounded by seafood. Scallop season is nearly at it’s end in the Gulf, but fresh oysters are harvested in Apalachicola and at Cedar Key. The boys like them raw, but I prefer them steamed. Most seaside restaurants have a fresh catch of the day on their menu. Go ahead, try it! I sea food. Do you? 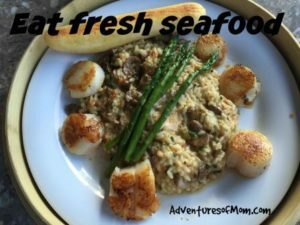 Eat fresh seafood! 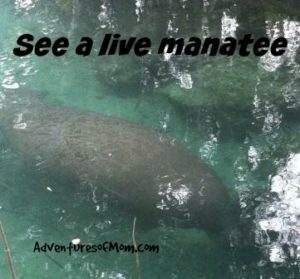 See a live manatee. West Indian manatees inhabit the waters in and around Florida. Waterways are posted with manatee zone signs (though I’m not sure if THEY actually know it) to let boaters know to go slow and take care to avoid these bulky cows of the sea. They are slow. They are vegetarians. And they are harmless. Manatees flock to the warm waters of the springs in the winter (Nov-Feb) but they are always about somewhere, so if you miss the winter zone, sign up for a tour to go out to see them. 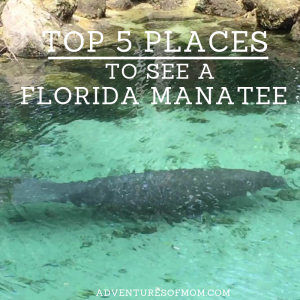 Here are 5 places to find manatees in Florida during the winter season. So many waterways, so little time! Kayak Florida! The underwater world awaits. 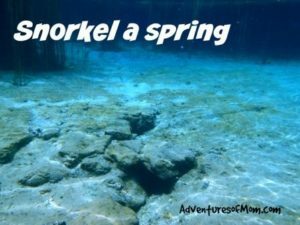 Snorkel a spring! 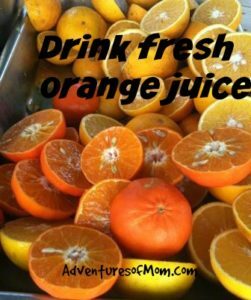 Drink some fresh orange juice. I came to Florida as a little kid on family vacations and what I remember most is the fresh squeezed orange juice. Let me tell you, there is not a single company that can reproduce that fresh taste. Stop at one of the orange stands along the road for a taste of real Florida. You won’t regret it. And you may never go back! Fresh squeezed orange juice. The real deal. Hike the Florida Trail. 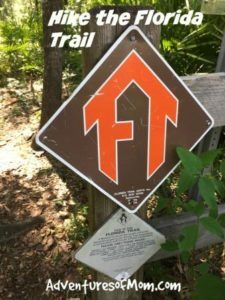 The Florida trail is a hiking trail that stretches from the panhandle to south Florida, through swamps, through cow fields, over rivers and around Lake Okeechobee. 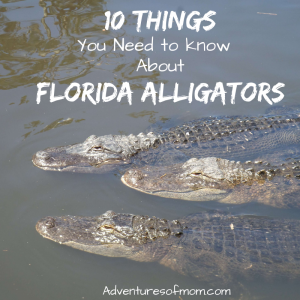 You don’t have to hike the entire 1,400 miles to get a taste of wild Florida though. 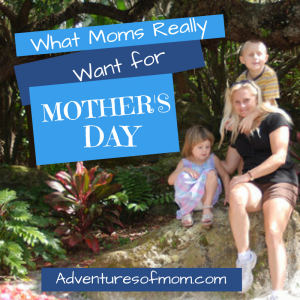 Check out my sister’s Florida Hike site for the best day hikes on the Florida Trail. Hike the Florida Trail for a look at wild Florida. Go sailing. If you are going to adopt the flip flop lifestyle, you should go the whole hog. Forget the rush and bustle and let the wind be your guide. 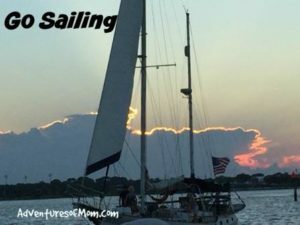 If you can’t charter your own sailboat, there are plenty of sunset cruises just waiting to take you to sea! Let the wind carry you to new destinations. Go sailing. 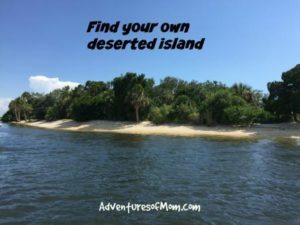 Find your own deserted island. There are many islands off of the Florida coast- one even has a fort on it near Key West. A whole area of Florida is known as the ten thousand islands. Get a boat and explore. Check out our YouTube video about Shell Island here. 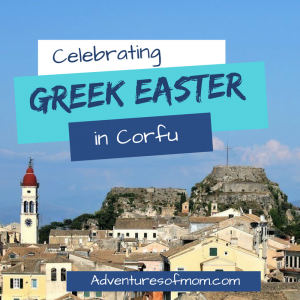 Or you can always let a ferry boat drop you off! Camp on Hontoon Island in the St. John’s River, or hop the ferry to the deserted Caldesi Island State Park. Escape the crowds and find your own piece of paradise. Yes the seafood. I love snow crabs! and I would love to visit one of the deserted islands, how cool, I had no idea. Loved this. 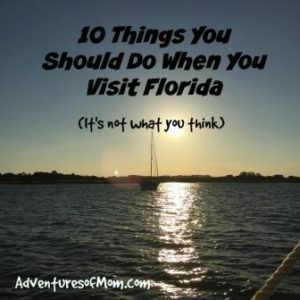 I’ll be visiting Florida soon to see family and your tips definitely have me some inspiration. I might need to check out Devils den sinkhole and kayak. ? 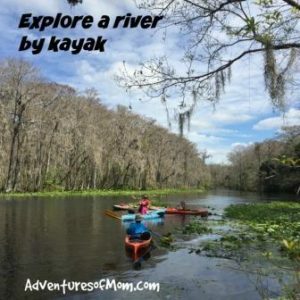 We love the Rainbow River for kayaking, but there are many other beautiful runs like Santa Fe River & Weeki Wachee Run.